Tell me again that the Sierra Club is just a small, grassroots bunch of concerned citizens … who just happen to have a $27 million budget to blow on litigation. The article by SNL Financial Dec. 2 attributed the $27 million figure to documents filed with the Internal Revenue Service. 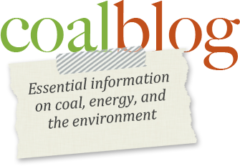 The SNL article quoted Bruce Nilles, Beyond Coal’s senior director, as saying a large share of that went to legal fees, and much of that was in appeals that targeted coal companies and coal-burning utilities. $27 million to destroy the livelihoods of thousands of hard working miners, utility workers, engineers, equipment operators, truck drivers, and the many businesses and people on which they rely. The Sierra Club is so flush with cash that they can drop $27 million on ripping apart communities and families. That is well beyond “disturbing.” The news that the Sierra Club reported spending $27 million on its “Beyond Coal” campaign last year is disgusting and downright offensive.